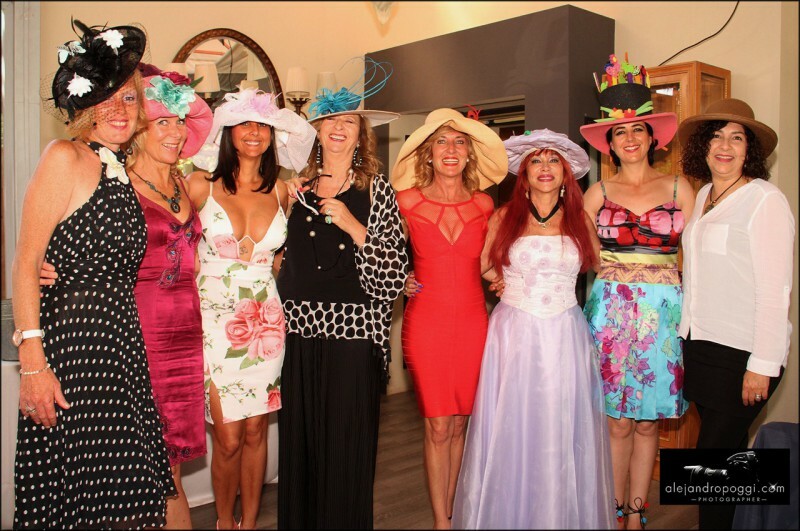 It is a tradition that Kristina Szekely organises an Easter glamorous hat party in Marbella every year. She has done it over 30ie years. The event took place at restaurant "La Meridiana", now managed by LEPANTO at Marbella, Golden Mile, Costa del Sol. This Saturday, 15th April 2017 with more than 200 guests, where many have attended the event for more than twenty years! "La Meridiana" has once again been chosen by Kristina Szekely for her annual "Pamela" party. Men and women wear their hats, headgear or Pamela at a party that is the icon of a time of glamour that continues to recover Marbella. More than thirty years of celebration, where personalities of the social life of Marbella, national and international have passed, and that continues to congregate to hundreds of participants. Among the prominent guests were Olivia Valere, Philippe Roger Valere O'hana, Fernando de Alba, Shulamit von Bismarck, Samantha Miller, Saeko Hamada, Annika Urm, Antonella Escobar Moreno, Ana Abad Roman, Mogens Mugge Fischer, Patricio Moreno, Alicia Czerniak, Peter Christian-Rex Nielsen, Linda Echeverria, Manuela Vilches Quesada, Eneriet Gallego, Nicole king, Maria Pilar Martinez, África León, Patricia Togores Rosa Sanchez, Patricia Togores, Andreia Dail Camargo, Jose Luis Bravo, Prince Antonio DE Pleguezuelos, Emma Emmanuëlle Tumerelle, Heidi Charlotte Brateng, Barbara De Carcer Moreno and Nieves Schmaeing. The party is a lot of fun, and it wrapped in good energy generated by hostess Kristina Szekely. The party begins with a cocktail, followed by lunch, a contest of Pamela's were awards given to the designs of Pamela and hats more original and extended until well into the night with music, dancing, laughter and good vibes. This year Shapó Olé Pamela's were wearing many many quests, including Kristina Szekely, Annika Urm, Fernanda herself, Saeko Hamada and so on. The designer tells us that this year the trend is loaded with colour and daring, where personality, flowers, colour contrasts and slightly more daring combinations stand out.